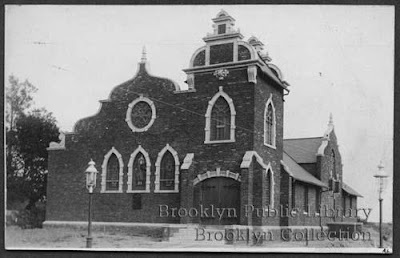 This church was once called the Greenwood Heights Reformed Church, located on 45th Street and 7th Avenue. It's facade was really beautiful. The white trim of the curving shape and the windows is still there. 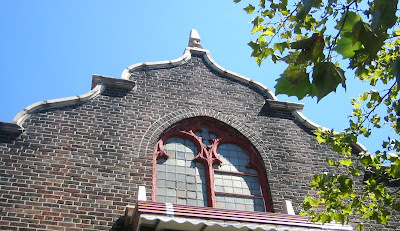 The GHRC was built in the 1800's and disbanded in 1972. 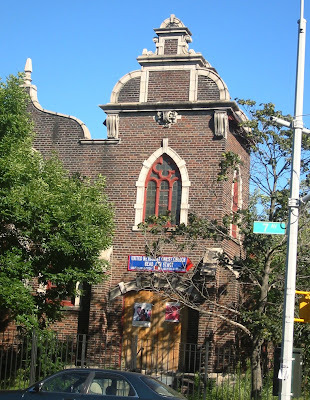 Now it is the United Methodist Christ Church, and it houses a Head Start. The surrounding trees kept me from getting a solid shot of the entire building, but it's clear that not much has changed - other than the signs that don't fit in with the building at all. My grandparents were married in that church in 1942, and lived most of the rest of their lives just five blocks away.